With over 16 million inhabitants, Guatemala is the most populous country in Central America. Up to 80 percent of people in rural and indigenous communities are living in poverty, where they face malnutrition and maternal mortality. Due to extreme income inequality, the overall rate of poverty has grown to more than half of the total population, despite several years of economic growth. FINCA Guatemala is one of our founding subsidiaries, dating back to 1989. The subsidiary has long maintained a strong focus on reaching women, including many who live in traditional communities throughout the country. 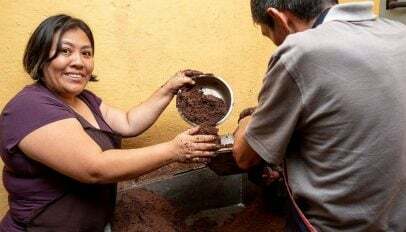 While remaining true to FINCA's original spirit, embodied in the Village Banking model, FINCA Guatemala has also diversified its services to include individual credit, money transfers and insurance. Financial exclusion affects more than 50 percent of adults. The situation is worse for those at the bottom of the economic ladder, where financial exclusion reaches 70 percent. This limits their access to resources and leaves them with few options to finance their homes and businesses. FINCA Guatemala has a strong outreach to disadvantaged people. Four out of five borrowers are female, which ranks FINCA Guatemala among the highest in the network together with Jordan and Haiti. Meanwhile, over half of our customers live in rural areas, representing the highest rural penetration in the region. The level of basic services available to our customers in Guatemala is generally on par with the Latin America region overall, particularly the share of households without access to running water or electricity. Even in a region marked by low educational levels, however, Guatemala stands out. It has the highest share of households whose primary breadwinner has less than a secondary education. Further complicating this issue, many indigenous families speak Spanish as a second language, which further limits their job opportunities. No data has been collected yet for this indicator in Guatemala. 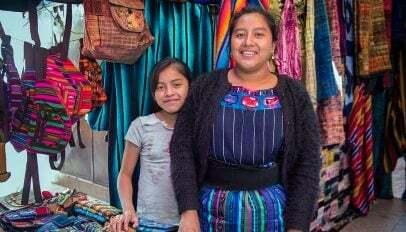 Women's family role in Guatemala mirrors a more traditional structure. 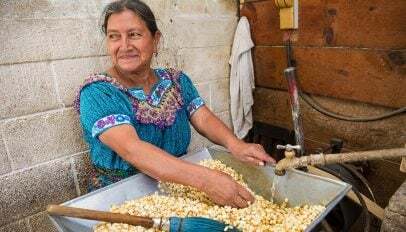 They are usually members of a two-parent household, and Guatemala is one of the few countries where the majority of our female borrowers are not the main source of income for their household. Afghanistan, another highly traditional society, is the other. FINCA's female clients are either working closely with a spouse or providing a supplemental source of income that helps the family meet basic needs. This still leaves one third of the families we serve who do depend primarily on a woman's income — they just aren't the majority. The prevalence of two-earner households and strong family traditions is also evident in the incidence of single motherhood, which is low compared to regional and global averages.